Convincing a small child to haul her own bag works wonders for airport rage. 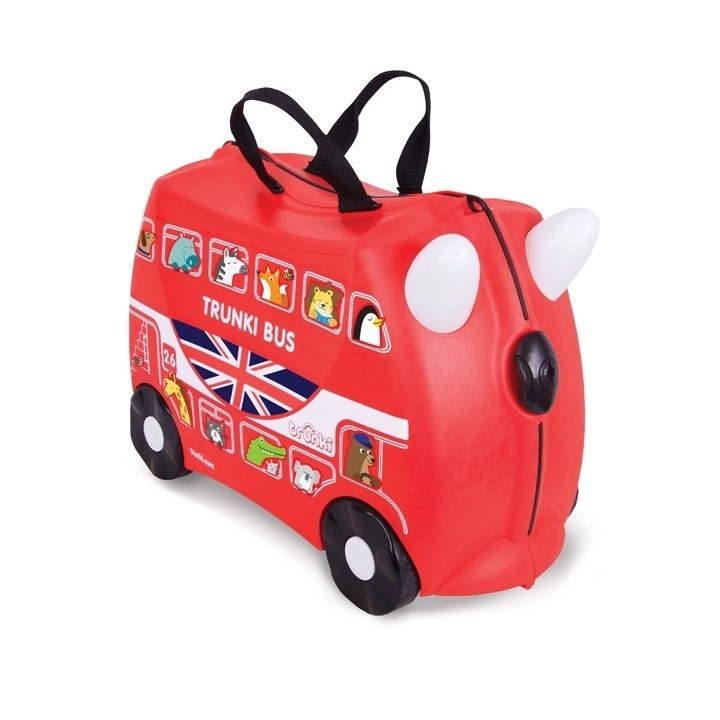 Part hard-case luggage, part distraction, Trunki’s new double-decker Boris The Bus design enables small tots to literally ride on (with horn-shaped steering grips) when little feet grow weary. It’s tough to get your hands on Streamline's light-in-the-hand Correspondent. (At $695, it may be equally tough to get your mind around the price). But, wow. It sure is a gorgeous transition from baby gear to world traveler accessory. 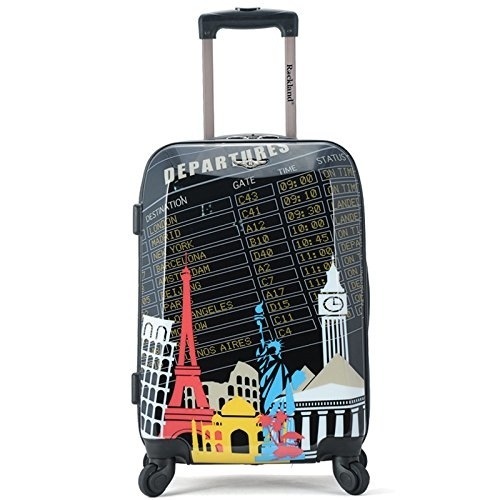 When the character stage is over, Rockland Luggage has an ergonomic telescope handle and comes in big-kid patterns like Departures and Destinations ($51.19), Owls ($64.99), and this pop-art print ($64.99).